On his wedding day, this groom stands in the courtyard of the beautiful private residence where he and his bride prepared for their marriage ceremony and reception, later held at the outdoor Santa Barbara wedding venue, Elings Park. 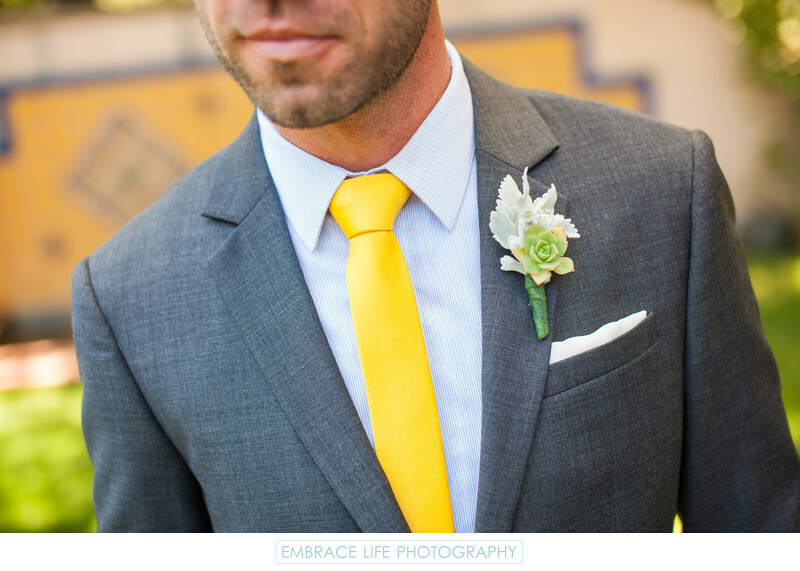 He's sporting a grey suit, light blue shirt, vibrant yellow tie, white pocket square and succulent boutonniere. The yellow and blue Spanish tile work in the background is the perfect compliment to this getting ready photograph.